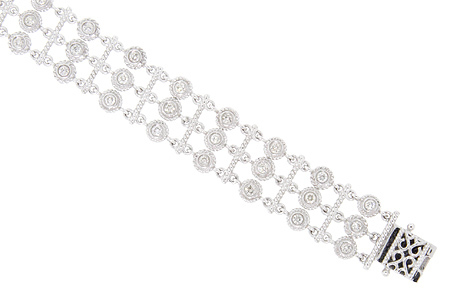 Approximately 1.20 carats total weight of diamonds are set in this 14K white gold bracelet. The bracelet is flexible and light and could easily be worn in formal settings as well as on a daily basis. The bracelet measures 7” in length and 1/2" in width. A double safety clasp ensures the bracelet remains on the wrist.